Andrew Marshall is an Australian songwriter and performer. He began singing upon exit from the womb and spent his teens playing trumpet in orchestras before nurturing a love for the acoustic guitar at university. Andrew spent much of his 20s abroad, with Canada, the UK and South Africa inspiring him personally as much as musically. Melbourne was Andrew’s homeplace until relocating to the rolling hills of Devon, South West England in 2007, and then to the island state of Tasmania in 2009. Andrew is now settled along the Tasmanian coast, about 15km south of Hobart. Andrew Marshall’s earthy fusion of roots, folk, indie and rock have been receiving radio airplay in Australia and the UK since his debut album, Refuge, was released in 2008. With creative instrumentation and stirring vocals, Andrew Marshall draws his audience in. Andrew’s years of writing experience have won him numerous finalist placings in the Australian Songwriting Contest (ASA) and Musicoz Awards. Andrew has released The Live Collection, Set 1: Live from Melbourne, which captures the intimacy of his live performance. Recorded on location at the Vibe on Smith, this album presents songs from Refuge, including ‘Summer Days’ and ‘Beautiful’, while also showcasing new material. 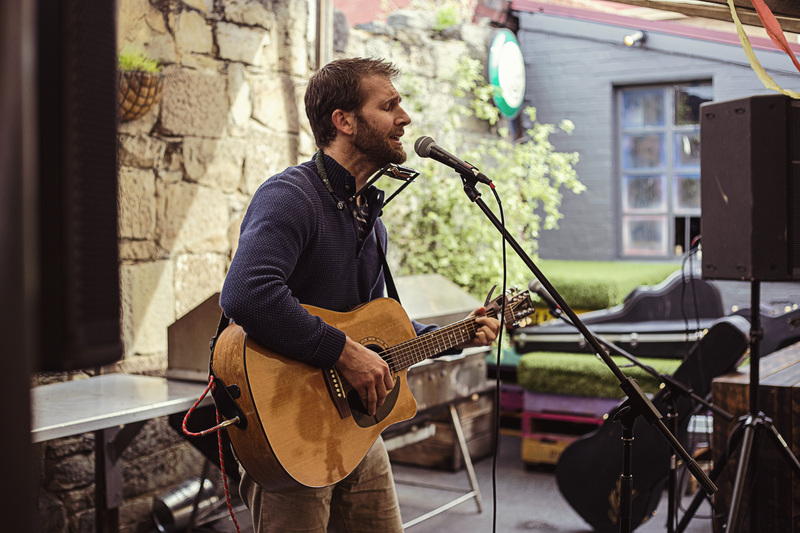 ‘Bartholomew’s Bed’ and ‘Charley’ will be familiar to local audiences, highlighting Andrew’s skilled lyrical storytelling and warm acoustic guitar melodies. Growing up in Melbourne, Andrew was singing Beatles hits from a young age, finally embracing acoustic guitar as a 17 year old. 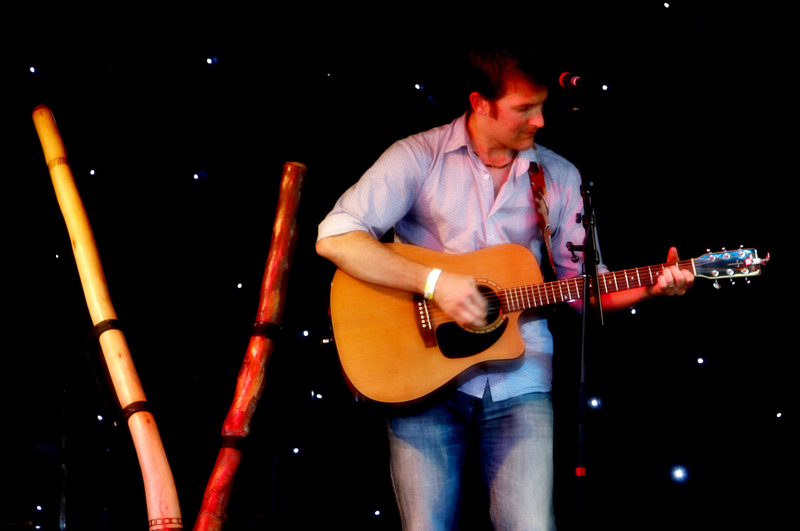 Moving to the UK in 2007 allowed Andrew to perform live, resulting in the release of his first album, Refuge. Andrew’s songs have rung out in a wide range of venues, from UK and Australian festivals to intimate live radio gigs and vineyards, building his profile and growing fan base since he returned to Australia in 2009. Andrew is inspired by a diverse range of artists including Mark Seymour and Pete Murray, Shawn Mullins, U2 and Silverchair. 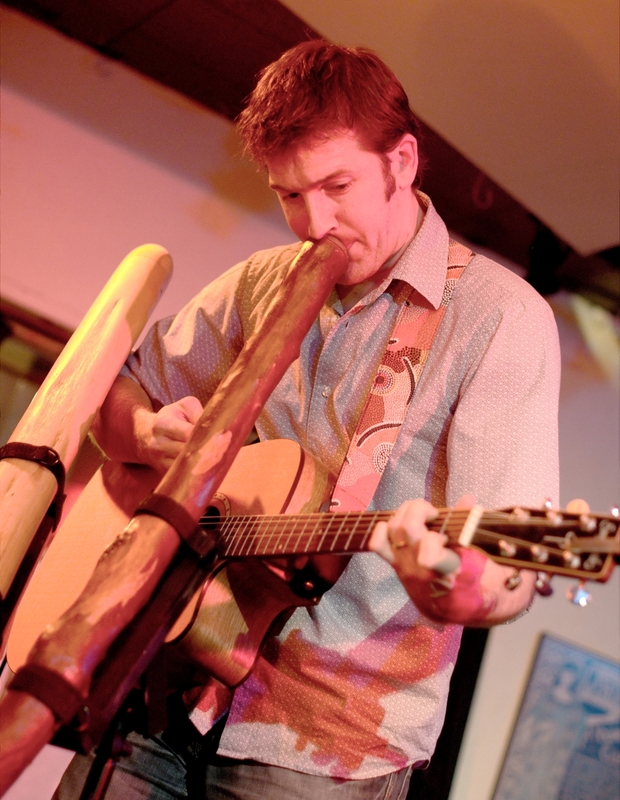 Andrew’s live sets reflect his deep affection and respect for the Australian environment which is influenced by his travels and evidenced by the use of his didgeridoo on stage, resulting in a developing and expanding suite of songs. Andrew has now released his second studio album, A Finer State Of Mind, complemented by international collaborations with Mia Palencia (Malaysia), Kellie Cox (UK), Matt Palmer (UK), Peter McIntosh (Aus) and Hannah May Bartle (Aus). Kellie Cox is a British composer, arranger and songwriter. Her work ranges from instrumental pieces and songwriting to piano solos and choral writing, reflecting the many different styles which have influenced her since childhood, from classical music to jazz, pop and rock.